Community leaders, led by Illinois Supreme Court Justice Seymour Simon, founded the Chicago Debate Commission in 1995. 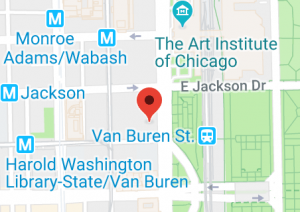 They had the goal of providing Chicago students with the well-recognized benefits of debate by establishing an urban debate league in Chicago. 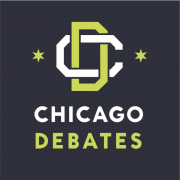 With the support of early sponsors, including the Community Renewal Society, the League of Women Voters of Chicago, and the Phi Beta Kappa Association of the Chicago area, the Chicago Debate League (CDL) was established as a public-private partnership between the Chicago Debate Commission and Chicago Public Schools in 1997. The CDL began with just five high schools and 35 students. Now, with over 80 high schools and middle schools and over 1600 students, the League has grown to become the largest and most successful of the urban debate leagues around the country. In fact, the success of our League has had a significant influence on the rise and expansion of urban debate nationally. The dramatic growth of the CDL has been due in large part to the financial support of the private sector, starting in 2008. Since that time, the organization has doubled the level of student participation, added a middle school league, and nearly doubled the number of participating schools. Through a concerted effort to establish debate programs in high poverty schools, participation among students from those schools has grown substantially since 2008. As the organization moves into a new era as Chicago Debates, we remain grounded in our history and focused on continuing to bring the transformational power of debate to Chicago schools who need it most.